With cold and flu season in full swing and the newest strain of flu scaring everyone, what can the average person to do avoid getting sick? The short answer as always: wash your hands regularly, especially before you eat. Another good way is to educate yourself on the 50 germiest places in the world, how to avoid them, and what you can do to better your chances. The next time you get a bug and have to call in sick to work, it just might be your work that made you sick. Check out the below germiest jobs to see if yours is on the list and how to better your odds. Another reason teachers are underrated: they get exposed to more germs short of a job that requires a hazard suit. Loads of kids, messes, and the lack of time for proper hygiene all make the classroom one of the germiest places in the world. The germiest place in the classroom? A student’s desktop. Daycare workers also fall into this category. If money is the root of all evil, it can also be the root of your flu if you’re a cashier. The amount of germs and bacteria found on cash can range from flu to illegal narcotics to worse. Couple this with the fact that cashiers must man their station from start to finish and rarely have time to wash, it’s no wonder that this is the number two position. Bank tellers are also at similar risk. Generally thought as one of the safest jobs, not so when it comes to germs. The constant passing back and forth of papers, phone calls, and desk time can make this one of the germiest jobs in America. If you’re an accountant, take more breaks, go outside, and definitely wipe down that desk. Ever wonder why your tech support guy brings his or her own keyboard and mouse? It’s probably due to the unexplained bout of flu they had. Also, being trapped in different offices several times a day with loads of different people doesn’t help either. This includes doctors, nurses, and even lab workers and receptionists. The reason these professions aren’t farther up the list is that they take extreme precautions to avoid the spread of germs. The germiest place to practice? Pediatrics. Because suspects often carry needles along with germs, anyone who interacts with them on a regular basis, such as a police officer, is at a higher risk. In addition, when arresting a suspect, cops can also be required to search them, exposing them to even more germs. Even everyday constant interaction with the law abiding can lead to more germs. Whether you work for this office, at the pound, or volunteer at a shelter, exposure to animals can be pretty germy. This is especially so if the animals you come across are strays who don’t have their shots or know how to behave around humans. Getting bitten or scratched increases risk exposure to germs. Farmers and other agricultural personnel are exposed to similar but diminished risks. Given the closed door nature of gentlemen’s clubs, it isn’t exactly known how bad the germs are in this profession. However, if you see any signs of flu or other illness, stay away from the club. This article from “Men’s Health” has more. You go here to get healthy, so stay that way by avoiding these germ land mines. Everyone uses them, but few wash them. Ever wonder why you get warts? If you visit the gym and hit the weights, that might be why. The best way to protect yourself? Weight lifting gloves. They also protect against calluses and help you grip the weights properly. Although not an increasingly sweat producing exercise, yoga mats are one of the germiest places at the gym. Public ones are often used multiple times a day, dragged across the floor, and piled on top of one another. If you don’t feel like bringing your own, wipe down the one you are using. That exercise bike can give you fantastic legs, but it can also give you something more. Sometimes ridden for hours a day, they can collect loads of sweat. The good news is, your shorts are usually enough to protect you. Because runners wipe their sweat and then grab the rails, they can be fairly germy. Also, some of the less courteous runners may choose to drench themselves in their own drinking water, leaving even more germs. But truly avid runners don’t need to touch the hand rails anyway to enjoy a run. Who knew a place that was constantly bombarded with hot water and soap could be so germy? However, shower walls, doors, curtains, etc. that were tested for germs usually came back positive. Yet another reason to wash your hands. Not to be outdone, floors in a locker room can collect innumerable amounts of germs. Sneakers, sweat, bare feet, and more all add to the collection. Makes the guy or gal wearing flip-flops in the shower look less ridiculous. Get numerous people in a crowded place to sweat and you get germs. Because energy used working out can deplete the immune system, people who are sick, starting to feel sick, or still getting over the flu should avoid the gym. One of the reasons you are getting sick from work are the items that contain germs. Check the below to see why and when you should wash. If you have your own private phone, there is less to worry about. But if you man a front desk, share an office, or use any kind of community phone, it often tests positive as the germiest place in the office. It gets used at all times of the day, can have saliva deposits on the receiver, and rarely gets washed. Because keyboards don’t react well to most cleaners, this can also be one of the germiest places in the office. It is constantly struck by both clean and dirty hands, even if they are your own. Janitors rarely clean keyboards either, and when they do, it’s usually a quick dust. For the same reason as the above, the mouse can also be a frequent source of germs. They are also unlikely to be cleaned or even thought about unless they become sticky. This surface is exposed to as many germs as the above two. Hands, sneezes, and more can all end up on your desk’s surface. Doubly at risk are those who eat at their desk without wiping it down beforehand. For this reason, women’s desks were found to be dirtier than men’s. Even if you work in a non-public office, everyone uses the front door at least once during their workday. This is more so if you work in a shared office building where hundreds of employees go in and out on a daily basis. If your building has a revolving door, trying entering and exiting through there using your elbow. Every office has at least one candy lover who openly shares with everyone. A nice gesture, and when it comes to wrapped candy, a fairly sanitary practice. However, if M&M’s, Skittles, or other colorful temptations lie in wait, avoid. The number of people dipping and re-dipping into the jar can leave an unknown and hazardous amount of germs. Ever throw something away you wish you hadn’t? Then get ready to meet a world of germs on your way to get it. This is also true of the recycle bin. The remedy as always, wash after retrieving the item and, if possible, discard the retrieved item once are done with it. Even if your co-workers don’t gather around it, they probably visit it at least once or twice a day. That makes the little spigot that gives you water quite the germ catcher. If you have a janitor, request that he or she wipes it down each day with disinfectant. This another often-used, rarely cleaned item. The germiest light switch in the office? Of course, it’s the main one that controls the lights in the common or cubicle areas. Have a jar of pens on your desk that co-workers constantly give and take from? Then you can potentially have a germy place. Try keeping a pen or two out of easy reach and using them instead. Because travel is meant for fun or business and not getting sick, learn these germiest places to avoid. The sheets and even blankets get washed every day and in between guests. However, the comforter tells its own story. 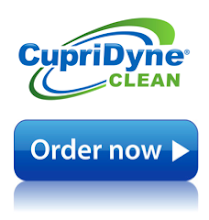 It may be weeks, months, or years between washes, as they can be expensive to. Try bringing a duvet cover from home or products made for just such an occasion. The sheets and bathrooms are cleaned before and after each guest, but the hard surfaces may not be. This includes doorknobs, the aforementioned light switch, drawer handles, and remotes. Also, putting that hotel pen in your pocket may not be a good idea either. It may seem like a luxury offered by your hotel, but it is also one of the germiest places in the place. They have tested positive for rashes, urinary-tract infections, and even pneumonia. Your best bet is to stick to the chlorinated pool. Because just about every item from all over the world has touched it, the conveyor belt amasses loads of germs. The suitcases that pass through it are also unlikely to be clean. Just another reason to go carry-on when you can. Your child may love his or her backpack, but it can gather germs much like anything else a kid uses. Dragging it on the floor, grabbing it with dirty hands, and letting who knows what ride in it can make it quite the germiest place. Also, true for the bottom of the ladies’ purse or gentleman’s handbag. Luckily, many children’s backpacks are washer friendly. If you’re uncomfortable in your airline seat, think twice about that pillow or blanket. It may not have been washed since the last passenger used it and can contain any number of germs. Dress heavier if you anticipate being cold on a plane and wear a scarf or jacket that can double as a pillow or blanket. Similar to the gym, the airplane contains loads of people packed into a tiny space sharing recycled air. Adding to this is the low humidity in airplane cabins, drying the sinuses, or natural defenses, in travelers leading to the spread of more germs. The best way to avoid this is to avoid the bar and stay hydrated with bottled water. Ladies may be tempted to kick off those designer heels for a long flight or upon entering a hotel room. Although they are both vacuumed regularly, only a steam clean or similar wash can keep them from being one of the germiest places in the world. Better to look silly with a pair of socks than suffer a foot fungus later. Because you encounter them in everyday life, beware of the below germiest places. With up to thirty or more people a day using it, it is no wonder shopping carts can collect so many germs. The driver’s hands, sneezes, raw food, and loads of other potential germ carriers come into contact with it. Doubly so if a child has sat in the seat. If the store offers antibacterial wipes, use them. Restaurants in all 50 states are required to adhere to strict health and sanitary standards. However, the menu is not part of that. Because many people use it a day and may not be cleaned until the end of the day, if at all, menus can be one of the germiest places in the restaurant. Another reason to wash before you eat. A quick source of cash, it can also be a quick source of germs. Many are located outdoors, exposing them to the elements and animals, along with all the other patrons who have used it before you. The worst offenders are those in busy places such as airports, hotels, and any other heavy traffic area. But isn’t it clean? While some germs may have been killed during the cycle, others have used the wet environment to multiply. Remember that the wash cycle is mainly for removing stains. Be sure to throw the clothes into the dryer immediately. The hot air cycle will do the rest. Used by the germiest culprit, children, water fountains can be the germiest place in the school, park, etc. If your thirst outweighs your need to avoid germy places, use your sleeve to push the button and don’t touch the spigot. Following suit of the above, playgrounds are also germy for the same reasons. Multiple kids climb, play, and even occasionally put their mouths on the playground equipment. Simply make sure your child doesn’t do the latter and give them some antibacterial gel after done playing. Even if you wash it regularly, water collecting at the bottom can still breed germs. If you do have water collecting, grab a plunger and get unclogging. If water instantly drains, be sure to clean the tub on a regular basis. We’ve discussed other germy places, so why leave this one off? With a regular host of raw food, dirty dishes, and more, the sink can accumulate a significant amount of germs with the preparation of just one meal. 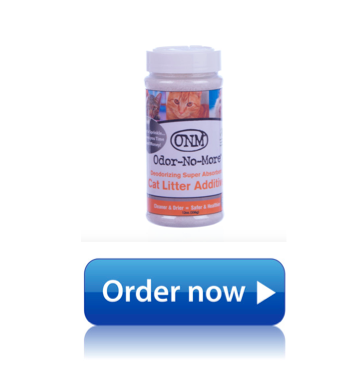 Clean often using antibacterial spray or bleach. The below are often thought of as the germiest places, yet unrightfully so. If avoiding the faucets in the public restroom, you are doing more harm than good. Washing your hands in a public restroom prevents more germs than touching a faucet does. This is especially true if you are at a restaurant and about to eat. If still paranoid, use a paper towel to turn the faucet off after washing. Although it can contain hazardous germs if raw food and other dangerous materials are present, your home’s garbage can isn’t as dirty as you think. It actually contains about four times less the germs than a typical bathtub. If you use a liner and wipe down on a regular basis, it isn’t as germy as previously thought. This job requires the cleaning of germs all day. However, with the proper precautions, it doesn’t have to be germy. Sanitary workers who wear gloves while they clean and change clothes after are exposed to a minimal amount of germs. If working at a healthcare facility or nursing home, be sure and take all the advised precautions. Dentists say to replace your toothbrush regularly, but is it for best results on teeth or the buildup of germs? The guys at Mythbusters ran an experiment on toothbrushes that showed they contained germs but not a dangerous amount. They also explored the myth that a toothbrush shouldn’t be placed near a toilet. If you drop a piece of food, you have five seconds to pick it up before germs cling to it. This is the rule, and Dr. Oz agrees. If the dropped food is in your sight the whole time, go ahead. However, be warned if it is wet food such as dip, as they can collect germs instantly. Most soaps nowadays say “antibacterial,” but is there any advantage to using them? The short answer is “no.” All soaps have germ killing properties and, if used properly, can rid your hands of a significant amount of them. It may be a greener option, but is it one of the germiest places? In actuality, the hot air from the dryer can actually kill more germs than a paper towel. However, there are negative points if you end up wiping your hands on your clothes. A good philosophy if you’re a dog. In reality dogs carry germs in their mouths just like people, but most are harmless to us. In this article from ABC, an expert actually states that he would rather be bitten by a dog than a human. Everywhere you go, whether it’s the office, travel, or most other places, you’re going to encounter these germs. Know that washing before meals is one of the best ways to eliminate most germs. If you are concerned about the 50 germiest places in the world, ask a physician or health professional for an expert opinion. His Debut at America's Family Pet Expo was a Huge Hit! U.S. producers agreed to stop using chlorine to treat poultry in order to resume supplies to Russia, Gennady Onishchenko, head of the Federal Consumer Protection Service, said Tuesday. "We have information that U.S. factories are intensively working to give up treating poultry with chlorine-containing sanitations," Onishchenko told Interfax, adding that poultry producers said they were ready to resume exports as soon as possible. Onishchenko said Russia would start working with certain producers after they provide official confirmation that they would supply poultry that hasn't been treated with chlorine. Russia froze imports of U.S. poultry on Jan. 1 after long-planned regulations that forbid the import of poultry treated with chlorine — a production method used by many U.S. producers — went into effect. Onishchenko didn't specify which companies had agreed to the overhaul or when exports could be resumed. Albert Davleyev, director of the Russian office of the U.S. Poultry and Egg Export Council, said he could not comment on the course of the negotiations. The Russian Poultry Union, a nonprofit organization representing Russian poultry producers and suppliers, has no information on the U.S. companies' intention to resume supplies, said Galina Bobylyova, the union's head. Chicken is the top U.S. export to Russia, bringing in $600 million to $700 million a year to producers in 38 U.S. states, but that may change in the coming years if domestic producers edge out U.S. imports. President Dmitry Medvedev signed a new "food security" doctrine in February, calling for, among other things, 85 percent of all meat consumed in the country to be produced domestically. Agriculture Minister Yelena Skrynnik said Tuesday that meat production would increase 5 percent this year. The volume of domestic poultry production increased by 14.6 percent in 2009, and Russia will become a net exporter of poultry over the next 4 years to 5 years, the ministry said last month. 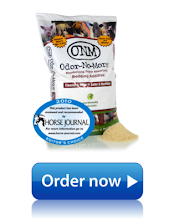 Equine Arena Sponsor at WPA Pet Expo - the worlds largest consumer pet expo! Link to Posting at WPA Web Site: We are in good company! MOSCOW (Reuters) - Russia, the biggest market for U.S. poultry exporters, will ban imports from 19 producers in the United States and warned on Friday that another 29 suppliers face a possible ban on health and safety grounds. The ban will take effect from September 1 and includes three plants belonging to U.S. meat giant Tyson Foods Inc, Russia's animal and plant health watchdog said, a day after Prime Minister Vladimir Putin first spoke of the measures. "Joint Russian-U.S. inspections of U.S. poultry processing plants at the end of July and the beginning of August showed a number of inspected plants do not fully observe the agreed standards," the watchdog, Rosselkhoznadzor, said in a statement. "The inspection showed that many plants have not taken steps to eliminate faults discovered by previous inspections." The United States last year exported nearly $1 billion worth of poultry, mainly frozen chicken leg quarters, and other meat products to Russia. The ban comes as Moscow prepares separate cuts to existing meat import quotas to help domestic suppliers. Rosselkhoznadzor said its inspectors had not been allowed to visit some poultry farms and had not received results of a probe into a possible excess of arsenic in some U.S. poultry supplied to Russia. It said it wanted to receive these results within one month. "A timely reception of this information by Rosselkhoznadzor will prevent the imposition of restrictions on poultry imports to Russia for 22 plants belonging to Tyson Foods, four plants of Peco Foods and three plants of the Equity Group," it said. Agriculture Minister Alexei Gordeyev, in a separate statement, said inspectors had more than once found an excess of arsenic, salmonella, E.coli and other dangerous bacteria in shipments of U.S. poultry to Russia. He said the bans on 19 U.S. poultry producers would not damage the Russian poultry market, as domestic output had risen. "In the last seven years, poultry meat output has been rising annually by 15 percent," Gordeyev said. He said Russia planned to raise poultry meat output by more than 300,000 tons this year from the 1.9 million tons produced in 2007. The minister said poultry meat and pork import quotas should also be cut by hundreds of thousands of tons. "It is time to change the quota regime and to cut imports, which, lamentably, have been rising in the last few years." Russia regulates imports of poultry and red meat by tariff quotas, which have been fixed for 2005-2009. The United States has the largest share of the poultry quotas. U.S. industry sources told Reuters on Thursday, after Putin's remarks to U.S. broadcaster CNN, that Moscow had not yet contacted its poultry industry or government on the ban. In March 2002, Russia banned all U.S. poultry for about one month, citing safety concerns such as salmonella contamination. The lifting of the ban involved top level politicians, including President George W. Bush and Putin, then Russian president. Rosselkhoznadzor identified the banned suppliers by numbers. 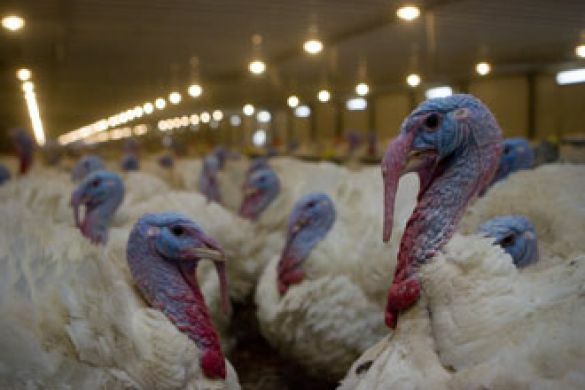 In addition to the three Tyson plants, the list includes two Sanderson Farms Inc plants, one Hormel Foods Inc turkey plant, and a Butterball turkey plant. Smithfield Foods Inc is part owner of Butterball. The list of 19 banned plants did not include any of Pilgrim's Pride Corp, the largest U.S. chicken producer. BioLargo's Odor-No-More Lands Major Distributor Bradley Caldwell, Inc.
LA MIRADA, CA--(Marketwire - 04/08/10) - BioLargo, Inc. (OTC.BB:BLGO - News) today announced that Bradley Caldwell, Inc. (BCI) (www.BradleyCaldwell.com) will begin distributing its award-winning Odor-No-More™ Animal Bedding Additive. Bradley Caldwell customers range from small "Mom and Pop," Pet and Feed Stores and Tack Shops, to larger Lawn & Garden and "Superstore" retailers. BCI has over 5,000 dealers in 24 states from Maine to Michigan to North Carolina. 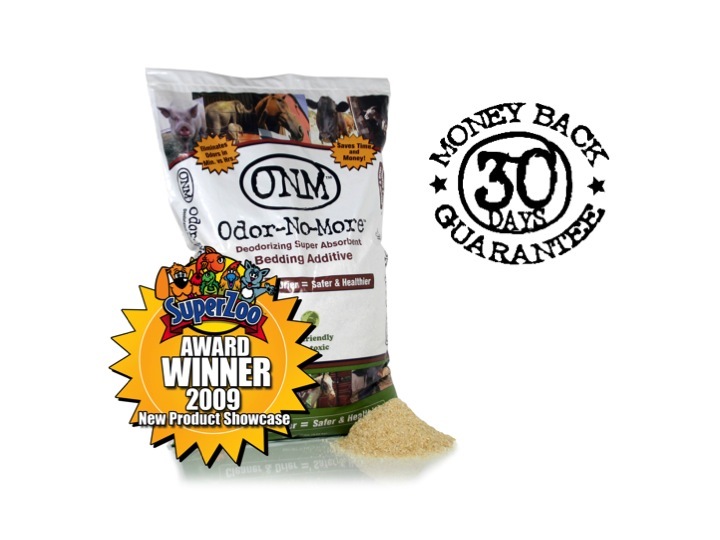 Family owned and operated with a proven track record of experience and commitment to 100% customer satisfaction, Bradley Caldwell prides itself on delivering quality product selections like Odor-No-More. 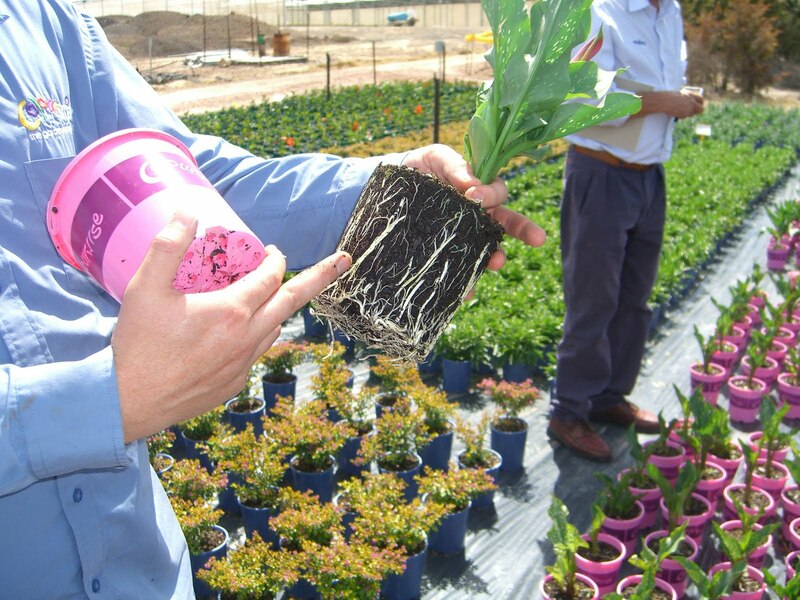 "BCI is an important distribution partner for our Odor-No-More products. BCI provides a large area of coverage in a key region of the country," stated Joe Provenzano, Odor-No-More, Inc. President. "This is a huge step in building product availability for the consuming public." BioLargo's business strategy is to harness and deliver Nature's Best Solution™ -- free-iodine -- in a safe, efficient, environmentally sensitive and cost-effective manner. BioLargo's proprietary technology works by combining micro-nutrient salts with liquid from any source to deliver free-iodine on demand, in controlled dosages, in order to balance efficacy of performance with concerns about toxicity. BioLargo's technology has potential commercial applications within global industries, including but not limited to agriculture, animal health, beach and soil environmental uses, consumer products, food processing, medical, and water. BioLargo's strategic partner Ioteq IP Pty Ltd. was named a "Top 50 Water Company for the 21st Century" by The Artemis Project™; BioLargo markets Ioteq's iodine-based water disinfection technology, the Isan system. The company's website is www.BioLargo.com. 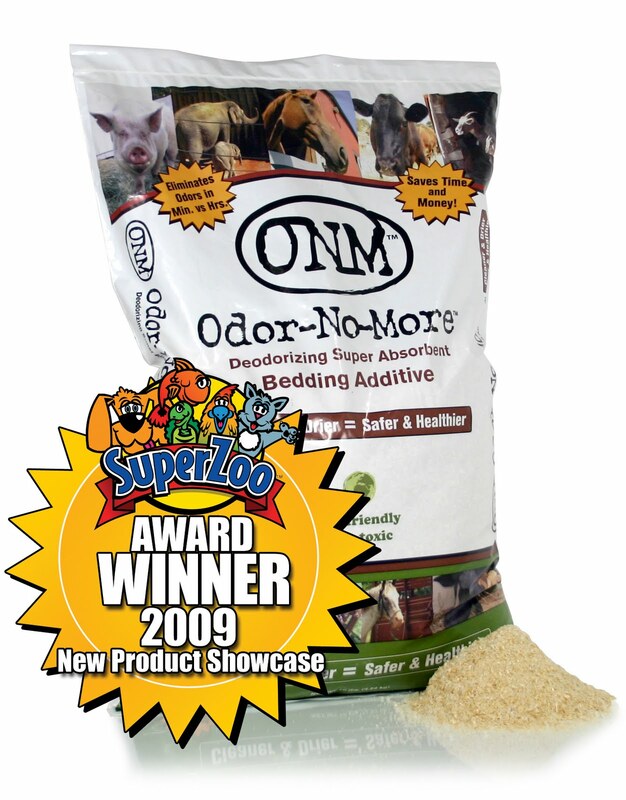 The Odor-No-More products are sold by BioLargo's wholly owned subsidiary, Odor-No-More, Inc. (www.OdorNoMore.com). BioLargo, Inc. announced today that it had entered into a series of agreements to commercialize a leading water disinfection system for food safety and agricultural uses, first introduced in Australia, called the Isan system, in the United States. Food safety is of great concern in the United States. The Centers for Disease Control and Prevention (CDC) estimates that foodborne diseases cause approximately 76 million illnesses, 325,000 hospitalizations, and 5,000 deaths in the United States each year. A recent study conducted by the Produce Safety Project at Georgetown University reported that health related costs associated with food-borne illnesses in the U.S. total $152 billion annually. Dennis P. Calvert, President & CEO of BioLargo commented, "The Isan system is a big part of the solution to help solve food safety issues, as well as to begin replacing dangerous pesticides and chlorine based products that so often are harmful to people and our environment. We are pleased to partner with Isan USA, Inc., who has committed to bring the people and resources to take the Isan system to the United States marketplace." The Isan system is a patented automated water disinfection system that utilizes iodine and substantially reduces the incidence of fungal growth, spoilage organisms and pathogens in water and on food. 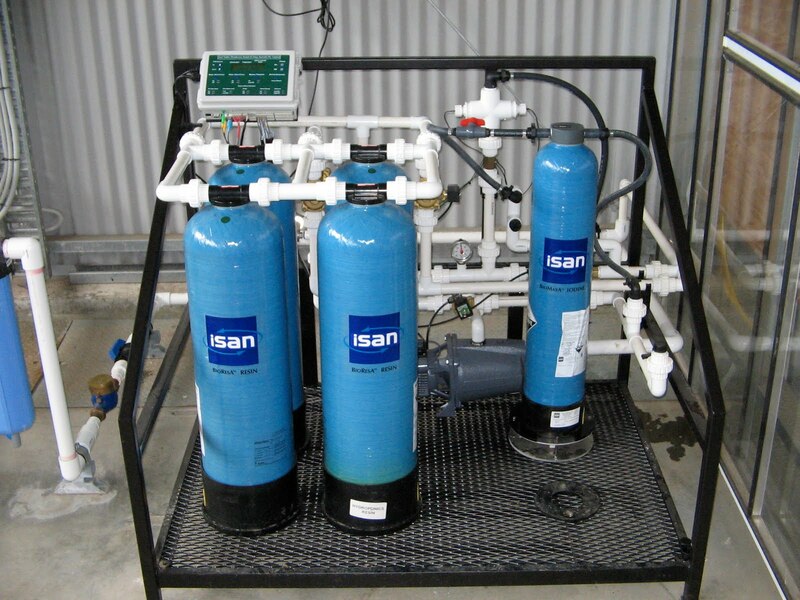 Capable of treating high volumes of water flow, the Isan system is a combination of electrodes for measuring iodine levels in the target water stream, a control unit which automatically controls the dosage levels, iodine canisters to deliver the iodine, and resin canisters to collect by-products after disinfection has been completed. 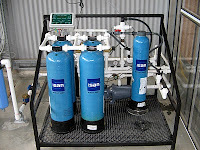 The Isan system is registered with the APVMA (Australian Pesticides and Veterinary Medicines Authority) and FSANZ (Food Standards Australia and New Zealand) in Australia and New Zealand, where it has approximately 150 customer installations currently operating, primarily for use in horticulture, post-harvest sanitation of fruits and vegetables, dairy use, and poultry drinking water. In April 2009, the creator of the Isan system, Ioteq IP Pty. Ltd. of Australia, was chosen as one of the top 50 water companies in an international competition by The Artemis Project™. "The Isan system is one of the most important advances in food and plant safety in the past 20 years" said Dr. Joseph Montecalvo of California State Polytechnic University, who is a noted expert in organic post harvest handling and processing and related international standards, HACCP and EPA-FDA-USDA regulatory compliance, and food plant sanitation. Jared Franks, President of Ioteq added, "The Isan system holds many competitive advantages to existing chlorine based systems, and includes a major advancement in the recycling and conservation of water in post harvest food processing". He added, "BioLargo, with its suite of complementary iodine technologies, has been instrumental in helping us develop a go-to-market path and bringing this relationship to a successful start with Isan USA. Our green technology can make a big difference in protecting people, plants, and our earth." Bert Fenenga, founder of Isan USA, Inc. commented, "We know this system solves many of the safety and environmental issues surrounding food processing and water treatment for a whole host of industry applications, while at the same time providing a turn-key 'set it and forget it' cost-effective solution that the marketplace so desperately needs, and we look forward to working through the regulatory approvals process in the United States." Under the series of agreements, BioLargo secured the exclusive rights to commercialize the Isan system for all fields of use, in the United States, Canada and Mexico. BioLargo will continue to market the technology on a non-exclusive basis globally. BioLargo sublicensed the rights in the United States in certain fields of use to Isan USA, Inc. The details of the agreements are set forth in the Form 8-K filed by BioLargo with the SEC on March 31, 2010. BioLargo's business strategy is to harness and deliver Nature's Best Solution™ -- free-iodine -- in a safe, efficient, environmentally sensitive and cost-effective manner. BioLargo's proprietary technology works by combining micro-nutrient salts with liquid from any source to deliver free-iodine on demand, in controlled dosages, in order to balance efficacy of performance with concerns about toxicity. BioLargo's technology has potential commercial applications within global industries, including but not limited to agriculture, animal health, beach and soil environmental uses, consumer products, food processing, medical, and water. BioLargo's strategic licensing partner Ioteq IP Pty Ltd. was named a "Top 50 Water Company for the 21st Century" by The Artemis Project™. 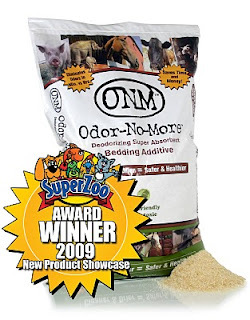 The company's website is www.BioLargo.com, and its products are sold under the brand name Odor-No-More™ by BioLargo's wholly owned subsidiary, Odor-No-More, Inc. (www.OdorNoMore.com). BioLargo now archives investor and shareholder communications atwww.biolargoshares.blogspot.com. Millions of people know what C.D.C. and F.D.A. stand for. Far fewer recognize E.I.S., though they may owe their lives to it. The E.I.S. is the Epidemic Intelligence Service, an arm of the federal Centers for Disease Control and Prevention. Its cadre of 160 elite medical detectives — many of them young doctors at the start of their careers — serve two-year hitches that are part adventure, part drudgery. Suitcases packed, they are poised to fly anywhere on short notice to investigate outbreaks of pneumonia, diarrhea, high fevers, mysterious rashes and many other health threats. Borrowing a term from news reporting, E.I.S. detectives like to call themselves “shoe-leather epidemiologists;” they also like to wear ties and lapel pins displaying their logo — a hole in the well-worn sole of a shoe over a map of the world. Since its creation in 1951, the service has become a bulwark in the nation’s defense system against disease, often acting as the public’s emergency room. Its doctors have helped identify Legionnaires’ disease, Lyme disease, and toxic shock syndrome from superabsorbent tampons; stop outbreaks of diphtheria and other diseases before they could spread uncontrollably; discover the deadly Ebola and Lassa viruses; and trace paralyzing cases of polio to defective batches of the Salk vaccine. Other E.I.S. investigations have led the Food and Drug Administration to remove potentially lethal products from the market. Indeed, the E.I.S. 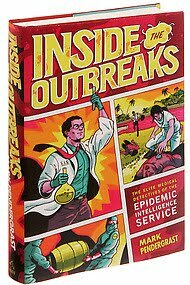 “may have saved your life, though you were probably unaware of it,” Mark Pendergrast writes in his new book, “Inside the Outbreaks,” the first history of the program, being published next week by Houghton Mifflin Harcourt. I was among the 500 graduates of the service whom Mr. Pendergrast interviewed for the book. (He has no connection to the program.) The book describes a number of triumphs — and occasional roadblocks — told chronologically as vignettes, with bits of history interspersed. Among them are examples of government officials’ suppressing critical health information — and a few surprises about the E.I.S.’s contributions to public health, including some that may come as news to the program’s more than 3,000 graduates. For example, few colleagues I asked knew that an E.I.S. investigation of a 1953 outbreak of nervous-system damage in children led Chicago to create the nation’s first poison control center. Pediatricians had assumed the cause was viral encephalitis; a medical sleuth, visiting the children’s homes and neighborhood, discovered that many were eating paint chips containing lead and correctly linked the outbreak to lead poisoning. The service had been founded two years earlier by Dr. Alexander D. Langmuir, a supremely self-confident epidemiologist who had gotten his start in the New York State Health Department and later taught at Johns Hopkins. Seizing on a frightening outbreak of hemorrhagic fever that had killed 3,000 United Nations troops in Korea, Dr. Langmuir convinced federal officials that the nation needed a quick-response squadron of epidemiologists to investigate outbreaks. At the outset, E.I.S. recruits earned military credit; even today they sometimes wear uniforms and have military ranks. Many found the service a career-changing experience, because they realized they could help far more people through public health than they could in clinical practice. Then and now, many graduates of the program stay for careers at the C.D.C., while others form the backbone of state and local health departments and become leaders in academic medical centers. Tall, deep-voiced and domineering, Dr. Langmuir was a showman who delighted in hearing E.I.S. officers relate their adventures riding camels and exhuming bodies. But Mr. Pendergrast leaves no doubt that he was a genius and a visionary. To colleagues who said that vaccines and antibiotics were making infectious diseases obsolete, he replied that the field still provided “a happy hunting ground for major discoveries and contributions.” The new service quickly took on his personality. In the early 1950s, for example, an E.I.S. investigating team provided surprising evidence that malaria had virtually disappeared from the United States, overturning the conventional wisdom that it was still a leading cause of fever throughout the South. At the same time, Dr. Langmuir made some decisions that would probably be condemned today. In 1955, the future of the new Salk polio vaccine was suddenly thrown into doubt when some recipients became paralyzed, apparently by a virus the vaccine maker had failed to kill. Dr. Langmuir swiftly set up an investigative team that found that the defective vaccine came from Cutter Laboratories, one of six drug companies licensed to make and distribute vaccine. The five other manufacturers were allowed to resume production and sales. But cases also occurred among recipients of the polio vaccine made by Wyeth Laboratories. In a little-known attempt to salvage the overall program, Dr. Langmuir suppressed reports of these cases. In 1962, Dr. Langmuir publicly supported the Sabin oral polio vaccine despite evidence that it had led to eight cases of paralysis. He buried the data in a paper published two years later. Dr. Langmuir retired from the service in 1970, but its propensity for secrecy lived on. In 1985, after a baffling outbreak of salmonellosis linked to salad bars in Oregon, E.I.S. investigators found a vial of salmonella with the same bacterial fingerprints in the laboratory of a nurse who had worked for the cult leader Bhagwan Shree Rajneesh. the service refused to report its investigation for years, on the ground that it would provoke copycat attacks. The service’s reputation was bolstered after the 9/11 attacks, when it played a leading role in the investigation of the deliberate release of anthrax spores through the postal system. But its accomplishments are generally based on strengthening the nation’s system to report common and unusual diseases, and then discerning patterns of infection and spread. Gradually, the E.I.S. expanded to include veterinarians, nurses, dentists, statisticians, social workers, even lawyers. Depending on the nature of the outbreak, its detectives may conduct door-to-door interviews and surveys, mapping cases and venturing abroad. When I was a member of the service, in 1963-65, for instance, two of my colleagues went to Bolivia to investigate a plague outbreak and bring back a sample of the causative bacterium. To get it, they had to exhume a body to remove a finger and isolate the bacterium from the marrow. The specimen eventually became part of the collection of potential agents at the government’s biological warfare center at in Maryland. The E.I.S. was Alexander Langmuir’s family. He demanded full loyalty and was upset when one of his “boys” left. When Dr. E. Russell Alexander announced that he was leaving to join the faculty at the University of Washington, Dr. Langmuir told him he would “never make it in academia.” (The prediction proved wrong.) And when Dr. Henderson began organizing the team that eventually eradicated smallpox, Dr. Langmuir opposed involving the E.I.S. and told his subordinate to take what he wanted and get out. The two later reconciled. I, too, was a victim. When I joined the E.I.S. in 1963, Dr. Langmuir appointed me editor of The Morbidity and Mortality Weekly Report, over which he had won control in a bureaucratic battle with another agency. He wanted to change its emphasis on vital statistics, which he said made for dull reading, and he preached the importance of promptly feeding information to the public on a “need-to-know basis.” So I included many reports of current outbreaks, in effect making the report a weekly newspaper. In those days, doctors were not required to report cases of rubella, even though it can lead to severe birth defects in the babies of pregnant women who contract it. So I played journalist, calling epidemiologists in many states to track the disease’s spread and obstetricians to learn that some were performing first-trimester abortions. My accounts unnerved and angered Dr. Langmuir, and he contradicted his early statements by insisting that the weekly report stick to its archive function. He sent me packing to help run a measles immunization program in Africa. I accepted the punishment enthusiastically, never expecting that my African adventures would eventually make me part of the Henderson team that eradicated smallpox. By the time of his death, in 1993, Dr. Langmuir had soured on the service he created, saying it had outlived its usefulness and should be abolished. Yet as other countries have adopted smaller versions of the E.I.S., his contributions to global health have outlived him, and so has his formidable legacy as a giant of public health.